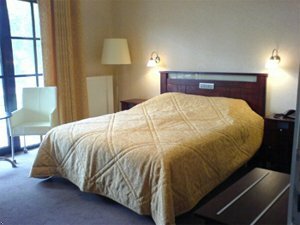 This Turnhout, Belgium hotel is ideally located for business or pleasure near corporate offices, shopping, recreation and popular local attractions. The Best Western Turnhout City Hotel is within walking distance to shopping and dining in the city center. Visitors are also close to several theaters and museums. Additional city and tourism information can be obtained at www.turnhout.be. Corporate locations nearby include Philips Lighting, Proost, Soudzi and Janssens Pharmaceutical. Each well-appointed guest room features deluxe furniture with all the modern conveniences including cable or satellite television, coffee/tea maker, refrigerator, hairdryer, iron and ironing board, desk and dataports. Hotel guests enjoy a daily complimentary full breakfast. Located either onsite or adjacent to the property are tennis courts, golf course, a cocktail lounge, game room, and casino. Small pets are allowed. The Best Western Turnhout City Hotel also offers guests access to many recreational activities including walking, hiking, golfing, mountain biking and horseback riding. The hotel is 20 kilometers from Bobbejaanland amusement park. Make an online reservation today at the Best Western Turnhout City Hotel!